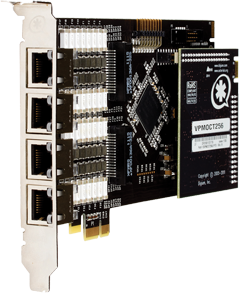 Nuvola offers the full line of Digium high-quality analogue and digital interface cards to connect your IP PBX, IVR, VoIP Gateway, or custom telephony solution. Select from the available attributes to find the telephony card(s) that meet your customer’s needs. 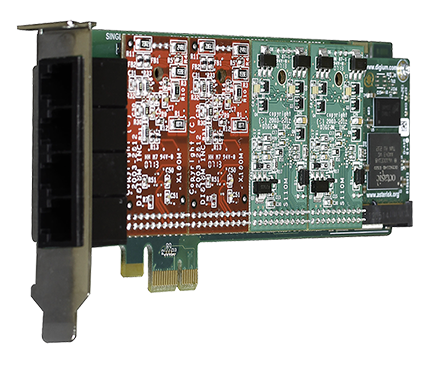 Digium analogue telephony cards are high-performance, highly reliable and cost-effective interfaces for POTS lines to your Asterisk solution. Multiple applications can be created to satisfy the business needs of any organisation when using Digium analogue cards in concert with Asterisk software, the Linux® operating system and standard PC/server platforms. 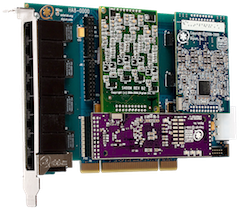 Digium’s super-reliable digital line cards connect Asterisk-based communication systems to T1, E1, J1 and ISDN-BRI interfaces. 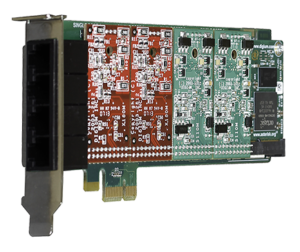 The Digium Hx8 Series are high-performance, cost-effective hybrid analogue and BRI telephony interface cards providing the capability to seamlessly integrate mixed-mode environments in a single device. Use the telephony card selector to identify the card that fits your requirements. Get more out of Asterisk by offloading codec conversions to Digium’s TC voice compression cards. Software transcoding takes up host CPU cycles and can limit the capacity of your server. TC cards are dedicated hardware transcoders; they drastically reduce the bandwidth consumed by each call without ever touching your host CPU. Our voice compression cards are capable of compressing/decompressing 120 channels of G.729 or 92 channels of G.723.1. Add-on hardware modules and accessories for analogue and digital cards.